Hybrid Payments can help you reduce your processing fees, in some cases eliminate them altogether. Hybrid Payments is optimized to support both Cash Discount and Zero-Fee programs. A Cash Discount program is a way to offset some or all of your processor fees using a method that is automated by attuned equipment, and compatible with guidelines form Visa, Mastercard, and processing regulations. By adding a small fee to all sales and providing discounts for those that choose to pay with cash, you can keep more of your sales revenue without raising prices. 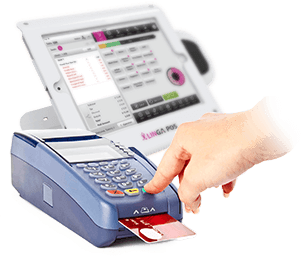 You need to notify all customers of the program via simple signage, and Linga POS makes sure the receipt clearly identifies how much of a cash discount each customer receives. Lower or Eliminate fees without raising prices. Keep more of your revenue. Receipt notifications: Linga POS can automatically add “discount waived” to customers paying with credit. Processor agnostic: Linga POS is processor agnostic and can support daily or monthly discounting. Works for all payment types: Credit, debit, cash, gift cards, and more. Call us today and discuss and have a personalized conversation about your business and how the program can work best for you. Update your pricing schedule to accommodate the program. Place signs near your front door letting customers know prices are based on the cash-discount price. We even have sign templates you can download. At check out, your compatible equipment prints a customer a receipt confirming that non-cash customers have waived their cash discount.